If I ever get invited on Desert Island Discs, I know exactly what my luxury item will be: a National Trust mill enthusiast. The people that restore and run water mills for the National Trust are not like you and me. I have been to four National Trust mills now and the story is often the same: the mills have been there for 800 years and there's nothing much left, except some barely standing timber and a mill-stone covered in lichen. 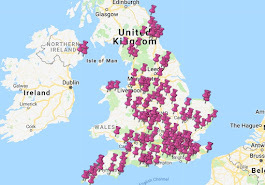 Yet the National Trust mill enthusiasts get stuck in and soon have the whole thing up and running and rattling away to produce actual flour that is actually consumable. That's why I want one on my island: give them a pebble and a coconut and we'd soon have a Boeing 747 to get us home. And before anyone points out that the luxury item on DID has to be inanimate and must not facilitate escape - I know. I don't think I really need to worry about it. 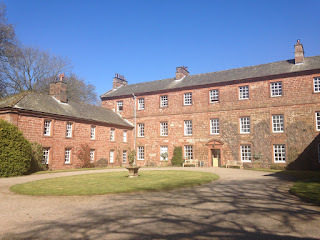 I very rarely join tours at NT properties, but thank God I did at Acorn Bank. There was no guide book and if I had wandered around on my own, I'd have come away slightly baffled by it all. There's very little furniture and a lot of doors are locked. Dorothy sounds like a real character - when James Lees Milne went to negotiate the terms of her leaving the house to the Trust, he left his notes behind. She read them and all the uncomplimentary things he had said about her (in his diary, he described her husband as "a grubby, red-visaged, hirsute old teddy bear"). She took offence and although she left them the house as planned, she took everything out of it - hence the lack of furniture. There wasn't much to see at the mill, to be very honest - I'm not sure if they open more of it up at weekends - but there was a brilliant exhibition explaining its history. I learned more about the Acorn Bank mill in five minutes than I've learned from hours at other properties. There's also a really lovely mill blog. 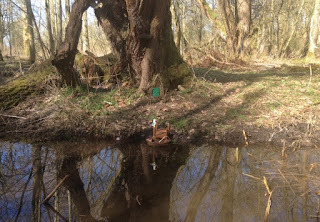 Today I finally understood the point of putting fairy houses in trees; when I saw this little green door and jetty, complete with miniature boat, I realised that children walking round Acorn Bank must go absolutely nuts with excitement. I was quite excited and I'm 42. The woman on reception told me excitedly that there were some newts in the pond. I tried to look interested, but I am no wildlife expert and I wouldn't have recognised a newt if it fell on me. But I wandered around for a look and I was amazed - there were loads of them. They also have very weird feet. I can't share any pictures - there were a lot of gardeners around and I knew that me + pond + attempting to take photos of small things would end up with me being fished out by people trying not to laugh. Acorn Bank was the fourth stop on the Scone Blogger's Spring Tour 2016 (t-shirts and other merchandise available). Wordsworth House had delivered a barnstormer of a scone on Tuesday. Sizergh Castle had followed up with an outstanding specimen on Wednesday. Hill Top doesn't do scones, but it was fabulous anyway. Could Acorn Bank score the hat-trick? 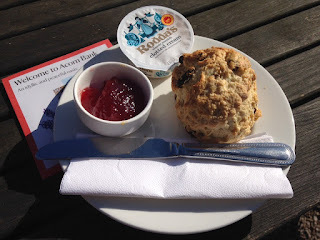 There wasn't a scone to be seen when I got to the Acorn Bank tea room and my heart sank. But the very nice man confirmed that they had some - in fact he offered a choice of plain or fruit, which is very rare. I then went and sat in the sunny courtyard, where they brought out the freshest scone I've had in ages - it had definitely seen an oven within the past hour - and it was AMAZING. I ate every crumb. So hurrah for the Lake District - three properties so far and three 5-star scones. 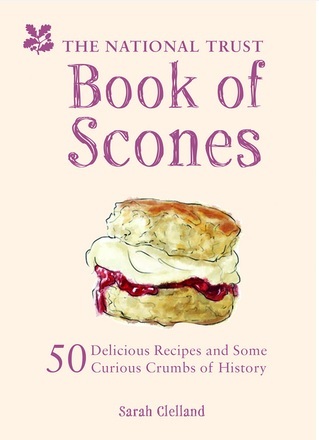 I am wildly jealous, since when I went to Acorn bank last May, I was served scones with WHIPPED CREAM!! You can imagine, I am sure. I was aghast, I tell you. Aghast. Definitely no whipped cream this time, Sconepal Jane! Rodda's all the way!